P.S. : This is my first food photo shot in artificial light (since it was dinner). Tell me what you think of it. Suggestions welcome! Mix all the ingredients together and refrigerate for 30 minutes. Preheat the oven to 375 F. Roll the meat mixture into one ince balls and arrange on a baking sheet. Bake for about 15-20 minutes until the meat is lighly browned on the outside. Meanwhile, saute the onions and garlic in olive oil until soft. Add the fennel seeds, salt and pepper. Add the crushed tomatoes, paste and water and bring to a rapid boil. Reduce to simmer, add the herbs and gently ladle in the meatballs into the sauce. Cook covered for 15 minutes and it's done! 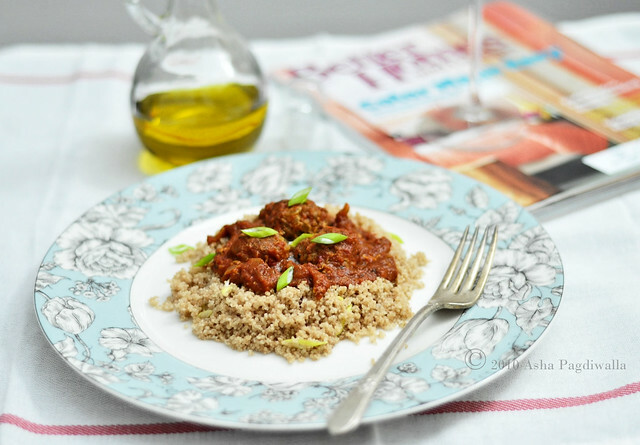 Gently fluff the couscous with a fork and incorporate the pat of butter. Sprinkle the scallions and gently fold them into the couscous. 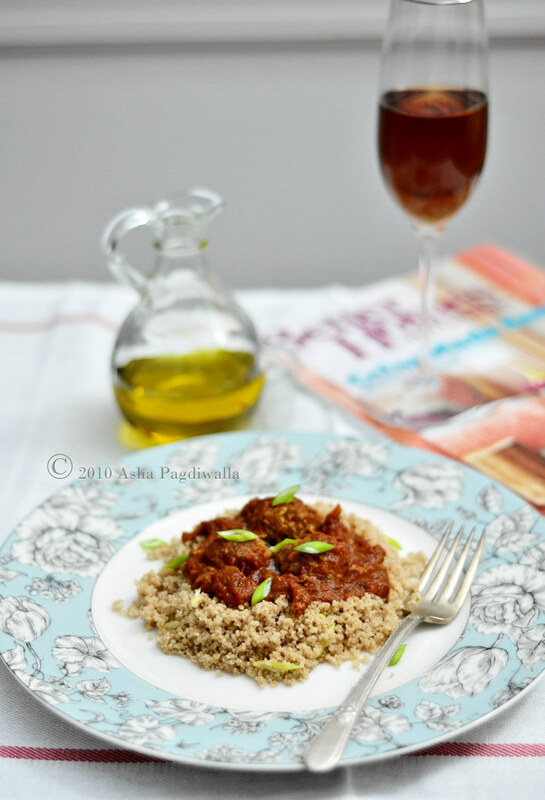 To serve, place couscous on the plate, top with the meatball sauce and then garnish with reserved scallions. You don't even need cheese on this dish!